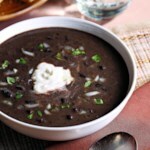 This quick and healthy black bean soup is full of flavor and made with a few basic ingredients you probably have in your kitchen. 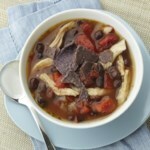 Best of all, it's ready in less than 30 minutes. 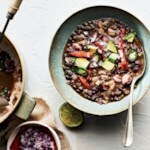 Just add a salad and crusty bread, and dinner’s on the table. 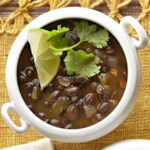 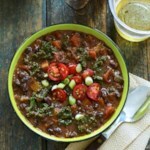 "Quick, Healthy Black Bean Soup Recipe"